Note: It is assumed that you have received an email notification that someone has shared a publication with you. 1. Open your email notification and click the link below. 2. 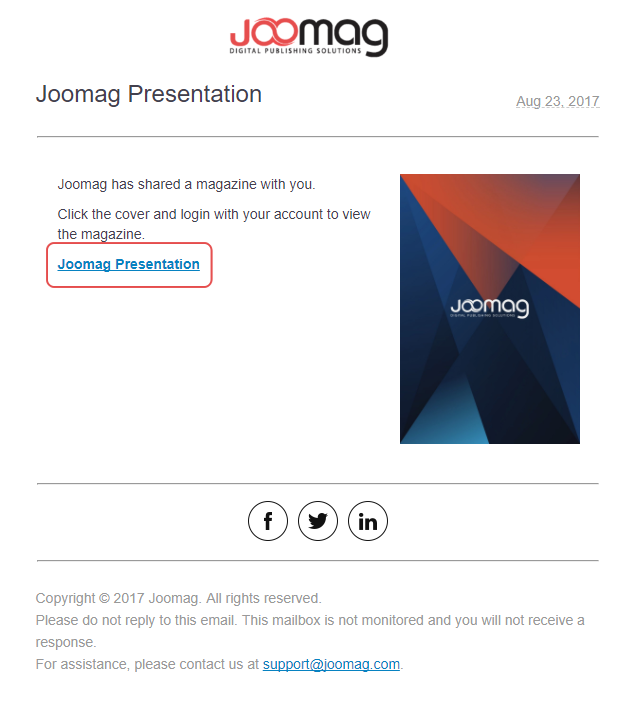 If you have a Joomag account please login by clicking the LOGIN tab and enter your email and password. 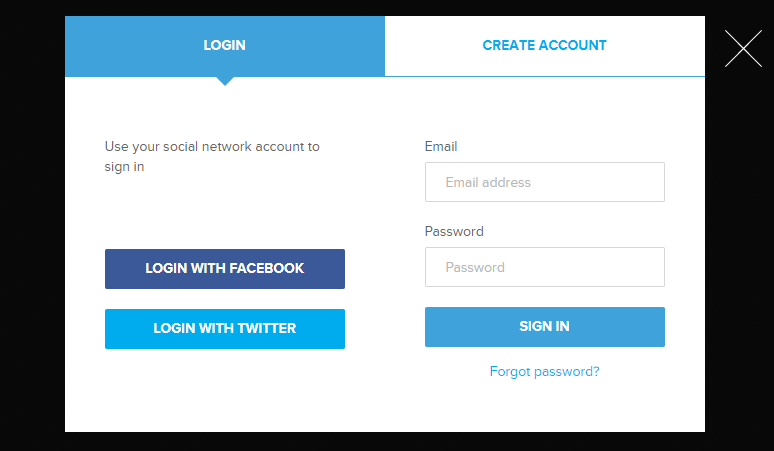 In case you don't have a Joomag account you need to create a new one by clicking on the CREATE ACCOUNT tab. 3. Done! Now you have access to the shared publication. From now on you can find this publication in MY LIBRARY section.